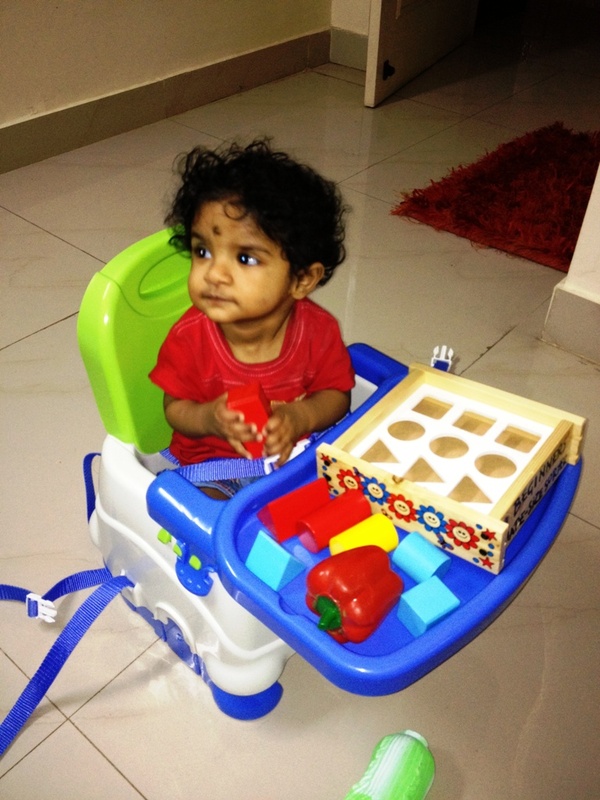 We got a new Fisher Price Booster Seat for Adhruth last evening. It was amazing and very light weight with seat belts. 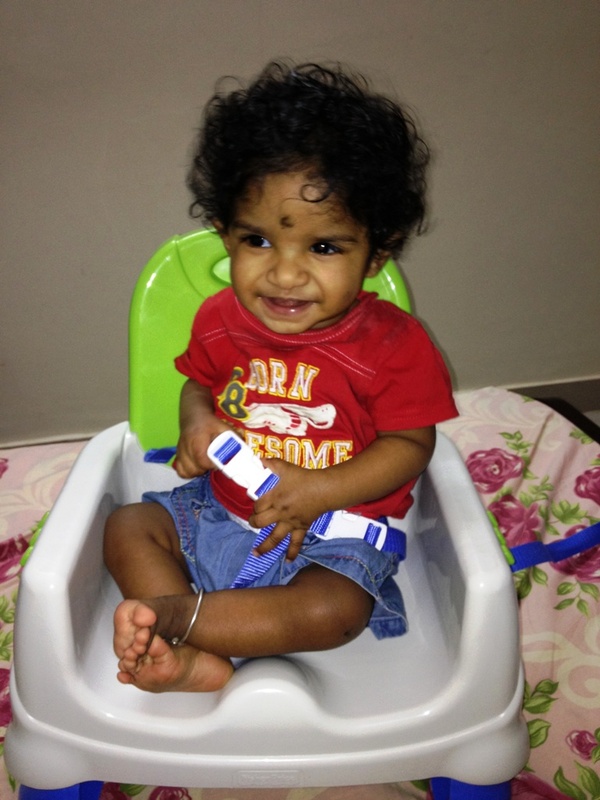 We kept Adhruth in that yesterday and he was very happy, smiling, looking at it, turning around and playing. 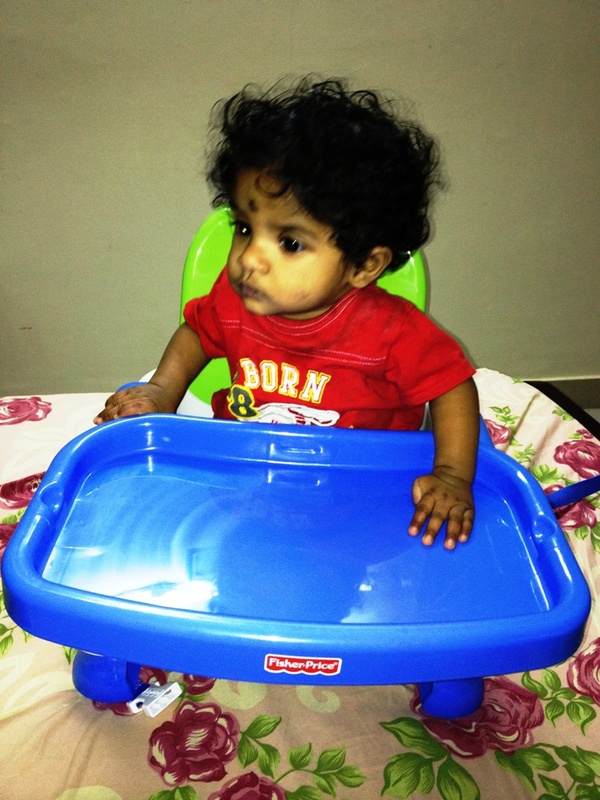 He sat on that and we tied the belt and kept the tray and put things for him to play. He was very happy and started playing in that immediately. It was fun watching him play in that. 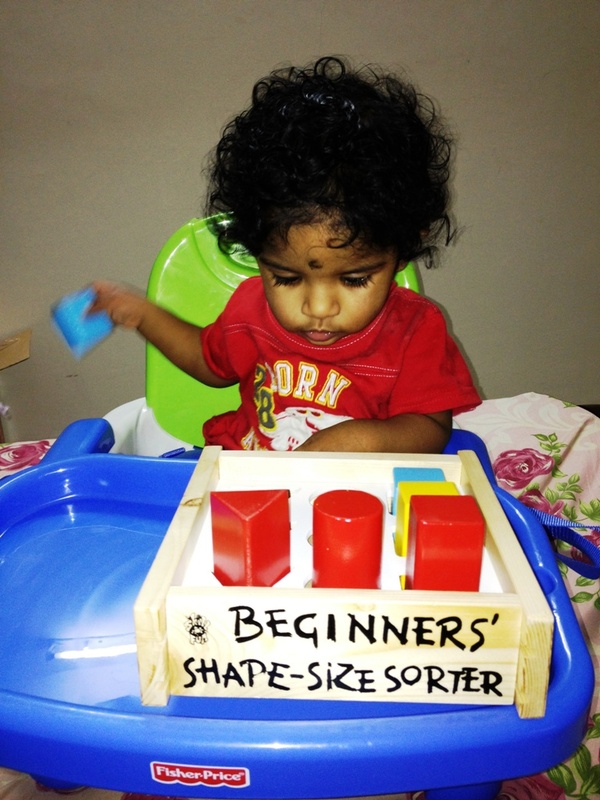 We kept the tray and kept a Shape Size sorter box in front of that. 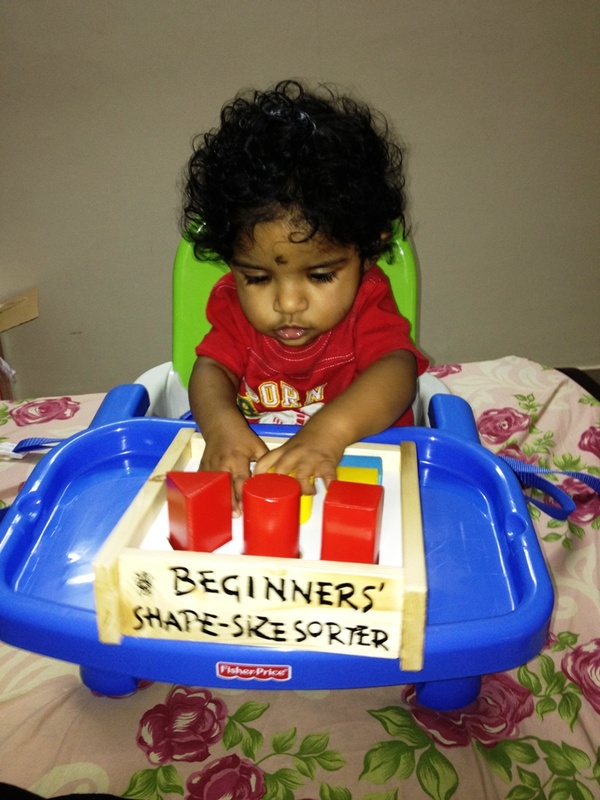 He immediately started taking one by one shape out of the box and throwing it all around him :-). Fixed the tray in the seat. What is coming next?? ?